The sale of counterfeit goods — from luxury and sporting goods to everyday items like shampoo and cigarettes — thrives on the Internet. In fact, criminals have created a virtual supply chain with fake goods being sold in bulk to wholesalers on popular business-to-business (B2B) marketplaces and then resold to consumers via fraudulent listings on consumer marketplaces or rogue e-commerce websites. Sophisticated counterfeiters employ savvy marketing tactics to confuse consumers and intercept Web traffic, including illicit promotions in search and social media, and as is especially the case with luxury goods, spam. Legitimate brands pay a heavy price: lost revenue, flagging demand, angry channel partners, skyrocketing warranty and service costs, and increased product liability as consumers are duped into buying sub-standard goods. Brands risk losing their cachet as brand equity erodes and customer trust diminishes. 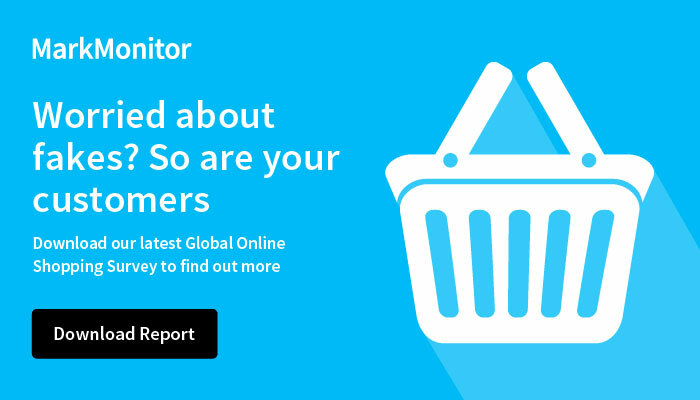 A major consumer goods manufacturer with multiple brands fights counterfeit sales, illicit marketing practices and the resulting brand erosion and revenue losses by using the MarkMonitor Brand Protection™ and MarkMonitor Domain Management™ solutions. Aggressively taking down counterfeit sales protects revenues and consumer confidence. Prevent counterfeit sales in digital channels to stem revenue loss and brand erosion. Shuts down illicit promotions in paid search, social media, spam and elsewhere, to protect against customer confusion and ensure an authentic brand and product experience. Identifies and exposes illicit manufacturers to fuel offline investigations. Reduces false warranty claims and customer service costs that result from sub-standard counterfeit goods. Bolster channel sales by proactively managing digital channels and stopping unauthorized sales.